These four gems are the best hair products I have used in my entire life... and I've used lots. 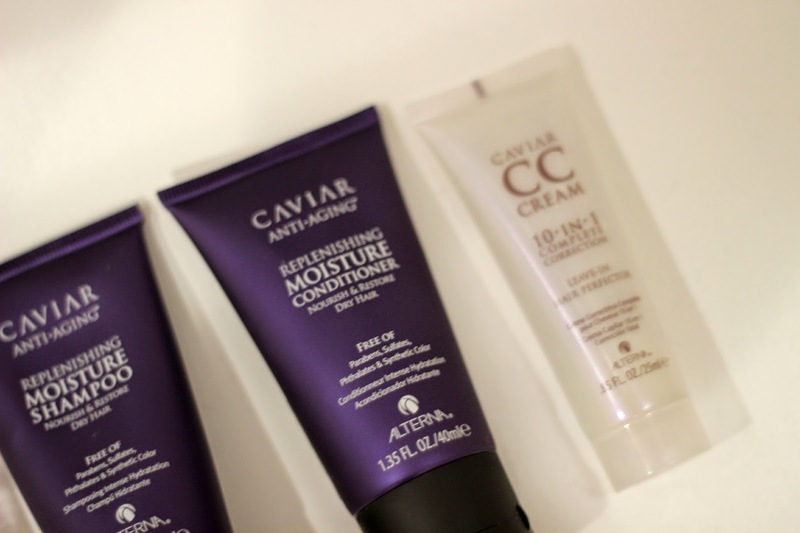 I picked up this set as a 500 point perk in Sephora, which included the Alterna Cavair Replenishing Moisture Shampoo, Alterna Cavair Replenishing Moisture Conditioner, Alterna Caviar Anti-Aging Replenishing Moisture Milk Leave-In Conditioning Spray and Alterna Cavair CC Cream. Intending to use these for travel, I didn't think much of them before use and I certaintly didn't think they would be life altering, but are they ever! Even though my hair isn't damaged, and is actually quite healthy, I love the feel of moisture shampoo and conditioners. 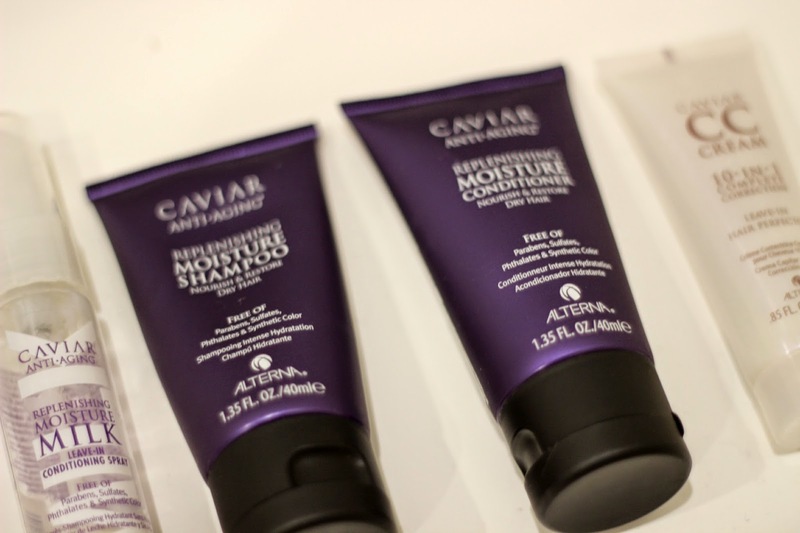 While many moisture shampoo and conditioners do a decent job, these take it to another level. The combination of these products produces the softest, healthiest looking hair with shape, body and shine. They basically give you a salon blow dry look even if your blow dry skills are lacking and mine definitely are. Sadly, I've finished the shampoo and conditioner and shortly will be out of both styling products as well. I will 100% buy these again... just maybe not all at once due to the hefty price tag.